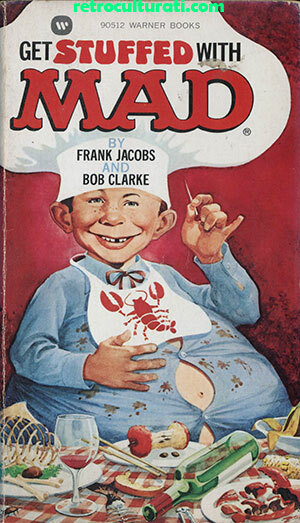 The satirical magazine MAD under the stewardship of co-founder and publisher William M. Gaines was prolific in both cutting edge humour and publications. 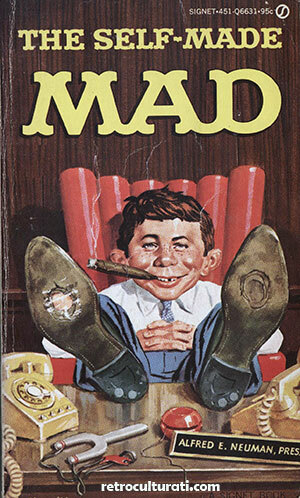 In its heyday in the 1970s the magazine sold in its millions to a global audience and the freckled face of Alfred E. Neuman became a symbol for cheeky tearaways and thorn in the side satirists the world over. 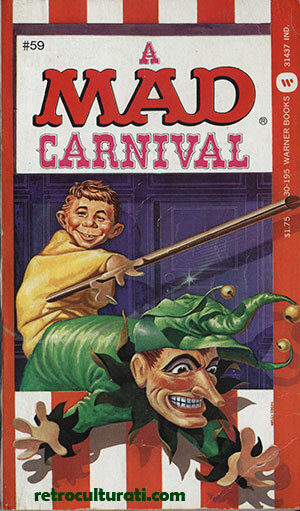 The magazine’s artists and writers produced material at an alarming rate and demand for the cartoons prompted Gaines to publish hardback and paperback formats with the first, The MAD Reader published in 1954. 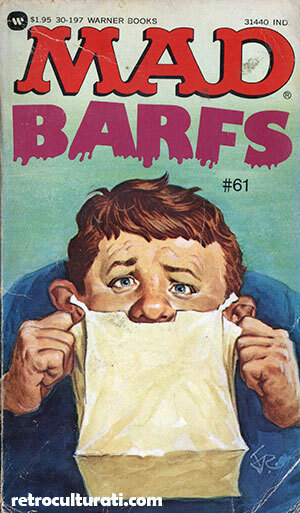 Scores more followed and Gaines did his best to keep the paperback titles in a constant state of available print for as long as he could throughout the 1950s until he sold the company in the early 60s. 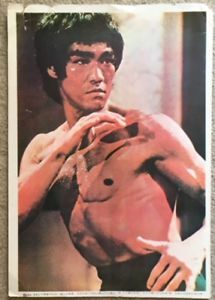 The books, like the magazine are full of comic strip movie spoofs, fun poking adverts and amusing observations about American everyday life from employment to their national sport and anything and everything in between. 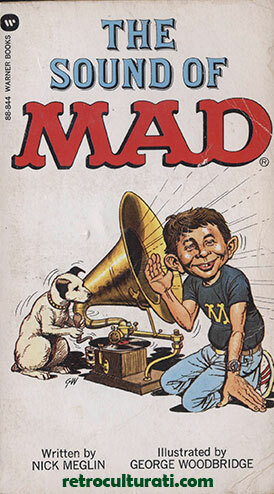 MAD continues to this day, the format is glossier but the spirit of Gaines, Feldstein, Martin, Drucker, De Bartolo and the rest remain. 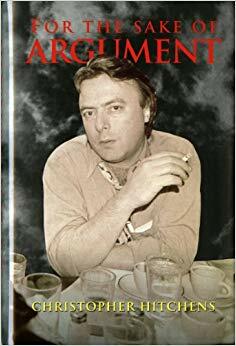 Some of the older titles remain in print and the magazine continues to publish the book format to this day. 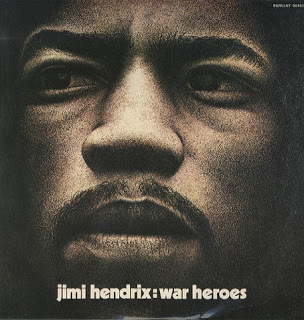 Warsha, Welcome to the site. 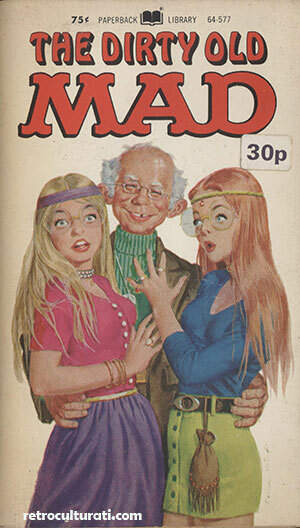 I love them too, I began collecting them in the 70s and although I didn’t appreciate the political humour until later they were always my favourite magazines.